Well, not even 10 days after the official Overwatch release, it seems that Blizzard didn’t only inaugurate their game, but their very first (and probably fastest) ban wave as well. The “main target” so far seems to be Watchover Tyrant, a product of the famous Buddybots (Honorbuddy, Demonbuddy, etc. ), which allows its users to be able to see Hostiles, Names, Distance, Radar, Friendlies and such, and probably more features that we’re not aware of just yet. For now, as a prevention method, the makers of Watchover Tyrant have closed its authentication servers until they figure out what happened. Both Overwatch and Watchover Tyrant are new, so there really isn’t much information in regards to what exactly triggered the ban wave, other than maybe pure detection, or what exactly were the affected players doing, if anything in particular, that caused them to get caught and banned. There are players who just got banned a few hours ago and yet didn’t use Watchover Tyrant in the past few days, others who got kicked right out of the game while using it, while others only used it for about a few minutes and then stopped, so there really is no current pattern behind this Overwatch ban wave. While, of course, nobody likes getting banned, you gotta give credit to Blizzard for the accuracy and speed with which they acted in this ban wave, especially given that Watchover Tyrant is not injecting, and is merely more of an overlay which reads memory, so it’s pretty stealthy when it comes to detection methods, at least in theory. While this might just be a discouraging act against future cheaters, it can also (and most likely) mean that Blizzard will indeed follow what they said about bans in Overwatch being permanent. Recent activity on this account shows the use of an unauthorized cheat program, also known as a “hack”, which harms the intended player experience. The account holder is responsible for all activity on the account. We issue suspensions and closures to protect our players and our service in accordance with our Battle.net EULA: http://blizzard.com/company/legal/eula.html. Thank you for your time and understanding in this matter. I guess nobody expected Blizzard to act this fast in regards to Overwatch cheating, even though they said they’ll be merciless when it comes to it. 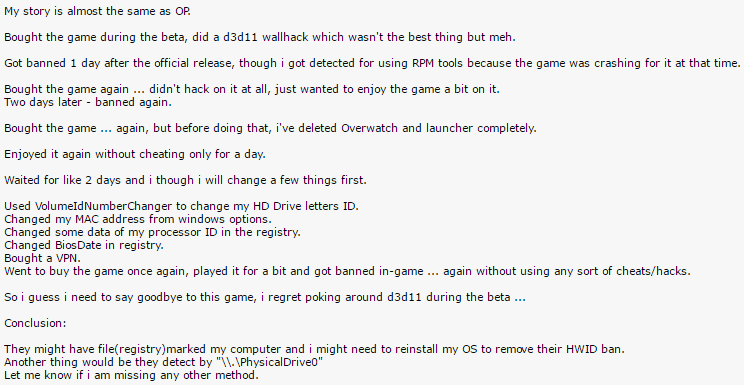 It’s been a rough first 6 months for third party software users, with banwaves in both WoW and Diablo 3, following now with the current Overwatch one. If you’re among the ones who got banned, we’ve got you covered! Let us know through our contact form or Facebook page and we’ll get back to you! 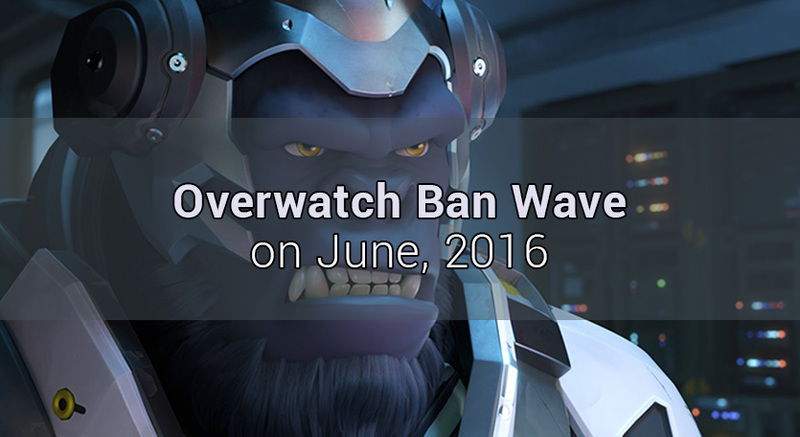 This is pretty much all we have so far on the Overwatch Watchover Tyrant Ban Wave on June 2016, and we hope you found this article useful! If you have anything else to add, please let us know in our comment section. We’ll keep this post updated as soon as new or relevant information arises, so make sure to check it every now and then to see if anything changed! Should you require our help, please don’t hesitate to check out our Overwatch unban service! Need help with a Overwatch account ban? We're here to give you the best help in order to get your Overwatch account unbanned!